Mighty Clean is a Certified Carpet Cleaning Company serving Herndon, Virginia and surrounding areas. We are a cleaning service you can trust. We offer a 100% Satisfaction Guarantee to all our Herndon Customers. We offer Carpet Cleaning, Upholstery Cleaning, Tile and Grout Cleaning, Mattress Cleaning, Carpet and Fabric Protection, and more. When it’s time to hire a professional cleaning company for your job, look for someone with a reputation you can trust to deliver outstanding results. Look to us for your Commercial Carpet Cleaning needs for your office as well. Herndon Residents love our Guarantee! If for any reason you are not satisfied, we will return to make it right at no cost to you. 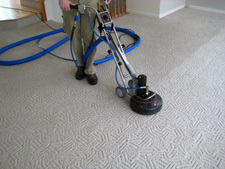 When it’s time for office carpet cleaning Herndon VA make sure you call the best commercial carpet cleaning company in VA. We offer competitive pricing and maintenance contracts for commercial office carpet cleaning in Herndon. Low pile glue down is the most common commercial carpeting and we have developed the perfect commercial cleaning process for this specific flooring. Herndon is part of the Dulles Technology Corridor and was nicknamed Netplex because it is the location of several major headquarters for Internet and Technology companies. In 1858 the town was named after Commander William Lewis Herndon who Captained Steamer SS Central America and is credited with saving 150 passengers and crew while going down with his ship.